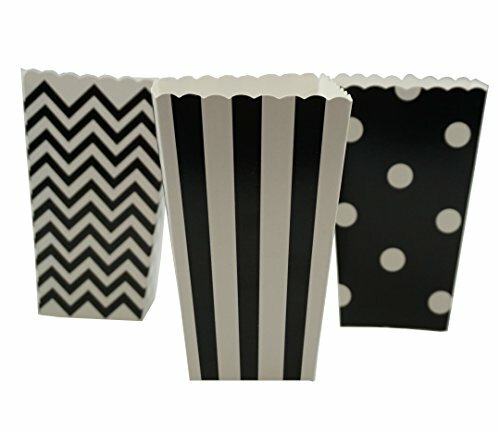 The popcorn boxes are white with black chevron zig zag , stripe and polka dot. The design is very simple and elegant. So they are suitable for many occasions. There are 12 black chevron zig-zag popcorn boxes, 12 black stripe popcorn boxes and 12 black polka dot popcorn boxes, total 36 paper popcorn boxes in the package.